Disclosure: Today’s post contains affiliate links. The opinions are my own. My son Thaxton LOVES it when I read books to him. He always takes books off the shelves and brings them to me to read. Sometimes we read a few of his books several times a day each! The other day his dad called out the name of a book he’s only had a for a week, and Thaxton gave this excited look. I told him the book was in his room. The next thing I knew he was crawling toward his room. I thought he’d bring back a random book or else get distracted by the toys in his room. But in a few moments he returned with the correct book in hand. (It was on an ottoman in his room stacked beneath 3 other books.) Needless to say, I was very impressed that a 13 month old was able to recognize and bring back the right book. I’m very excited at how much he loves to read, and I hope his love of reading continues! 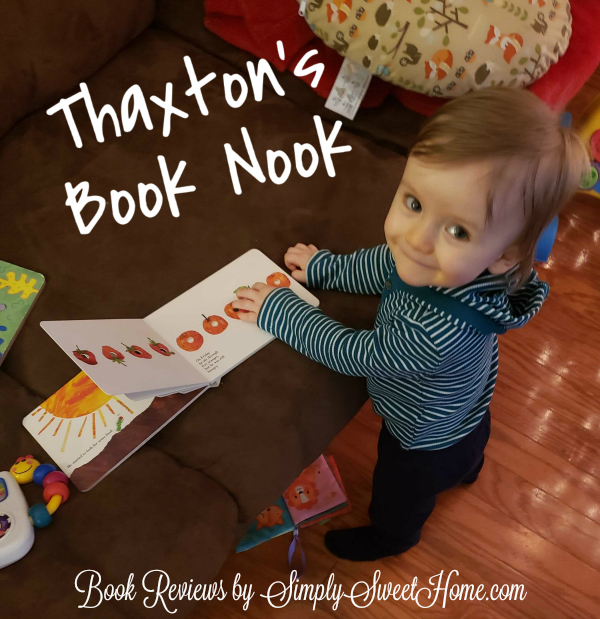 This year I’ve decided to start a new feature on the blog, Thaxton’s Book Nook, where I’ll be sharing some of the books Thaxton and I are reading. It will give me the chance to give a little insight in to our days and what we are enjoying, and it will also give me the opportunity to recommend some good books for you guys and your kids! 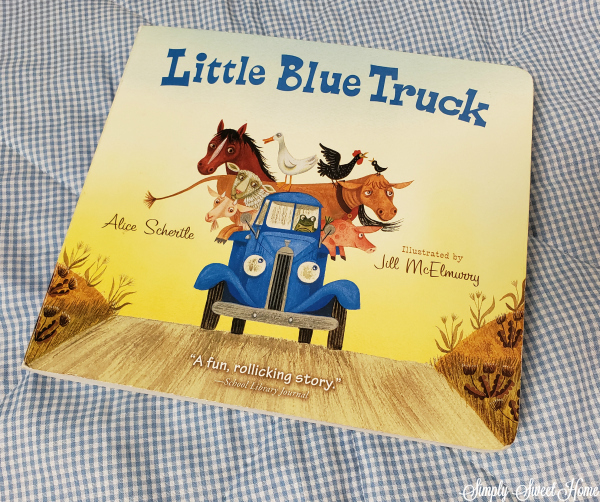 Today I am featuring Little Blue Truck, written by Alice Schertle and illustrated by Jill McElmurry. This is a great books for preschoolers or school aged children who are learning to read. This was one of the first books Thaxton really got in to and “demanded” to have read to him over and over. He loves the book so much that we chose it as the theme of his first birthday party! 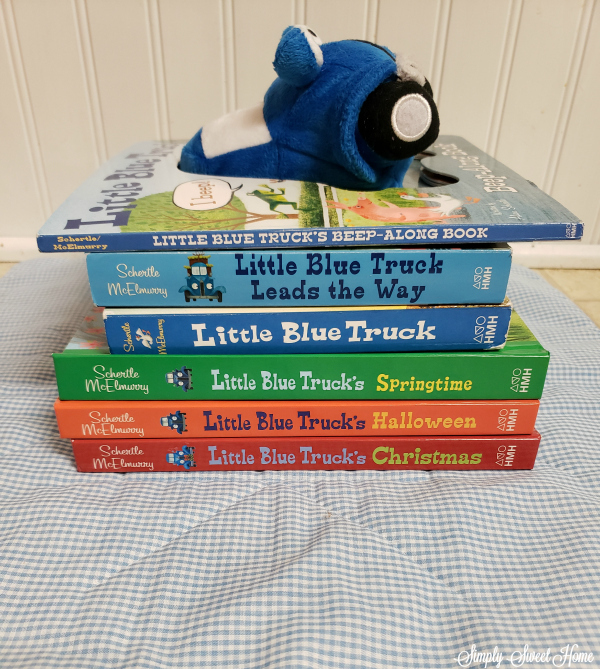 Little Blue Truck an especially good book for young children because it has great rhythm and rhyme scheme. This makes the book both entertaining and fun to read. As if that wasn’t enough, the book features farm animals with animal noises. To go along with the fun story line, the book features very bright and bold illustrations that will catch your child’s eye. It also has a great length for young children. 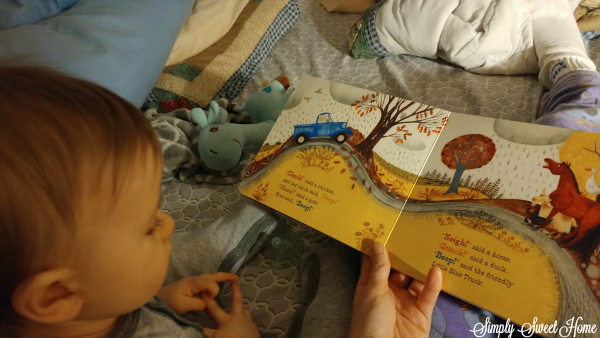 It has only a few lines per page, which helps to hold the interest of a one year old, but it also has enough words and story line for older kids as well. 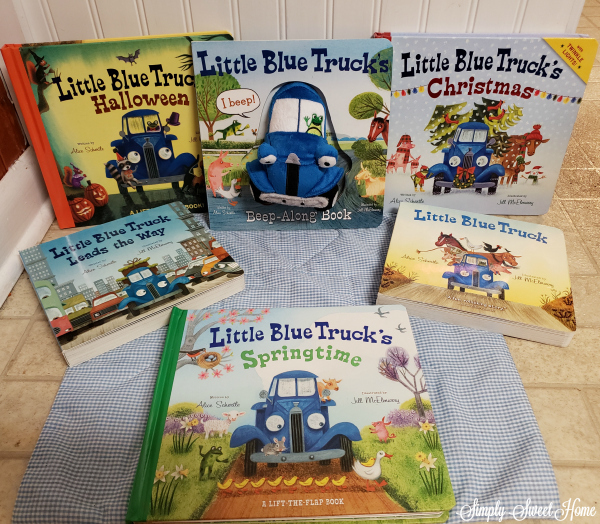 The book is about a friendly little blue truck who is friends with all the animals. He is in direct contrast to another truck we meet in the book, a dump truck who is too busy to make friends. When the busy dump truck finds himself stuck in the mud, it is up to Little Blue and his friends to save the day. The book teaches the importance of being friendly and making friends. It also promotes teamwork and working together. If you have a book to recommend to us, I’d love to hear about it! And if you’re a children’s author who’d like to see your book featured here, I’m always accepting free copies for review! Email me with your proposal!